Make Your Own Easter Bonnet to wear in your own little Easter Parade or use it as a centerpiece. This craft comes complete with patterns for the leaves and flowers. Cut heavy ivory paper into approximately a 16" circle with a 7" circle cut out of the middle. If you have plates or bowls this size it make a good circle. This becomes the hat brim. Exact sizing won't really matter. Cut twelve 1" x 11" strips out of the same paper. Fold each strip up ¼" from both ends. Tuck folded ends of one of the strips under the inner circle of the brim allowing the strip to gently bend upward. Do the same with another strip, criss-crossing the first strip. Continue with additional strips until a solid crown is formed. 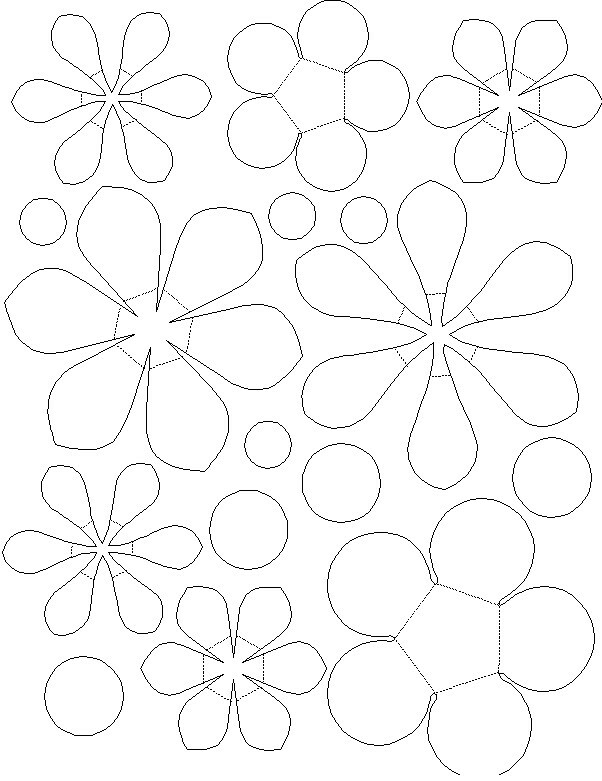 Print and cut out flowers and leaves. Printed side will be the back of the flowers and leaves. Bend pieces up slightly on the dotted lines. This will add depth to the flowers. Assemble flowers by layering pieces. Use a small dot of glue in the center of each piece to secure. 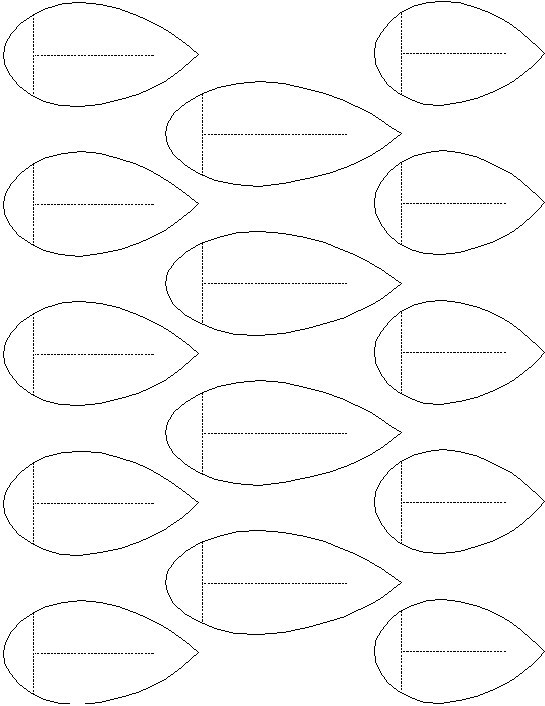 Punch out small circles with a standard whole punch for flower centers. Glue the flowers around the hat. Glue on leaves, tucking them under flower petals. These projects are created by Terri, Betty, Jamie or one of the talented staff members at MakingFriends.com. 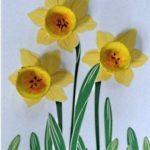 They have been created exclusively for publication on FreeKidsCrafts.com with supplies you'll be able to find around your house.